Come and join the London Animals Asia Support Group for a screening of the award winning “Cages of Shame” by Martin Guinness on Saturday 21 September at the Odeon Lounge Bayswater. 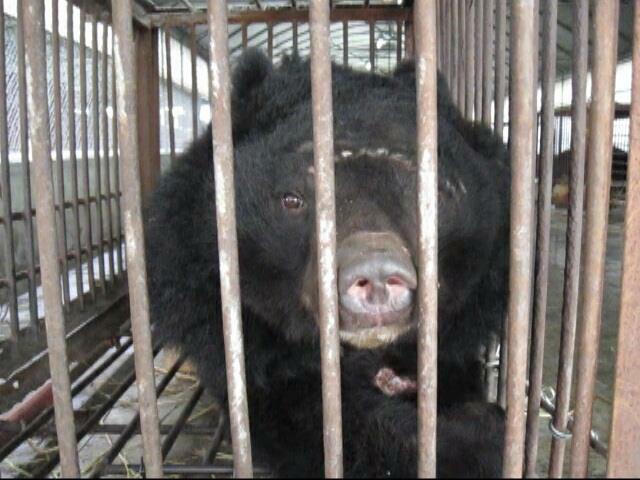 The film tells the story of bear bile farming in China and the mission to save ten bears and close down the last remaining bear farm in Shandong Province. This is a very inspirational film showing the dedication of the amazing Animals Asia team and the help received from locals on the long drive back home to the sanctuary in Chengdu. It also features Oliver’s dramatic and life saving operation on the back of a truck. He is living happily at the sanctuary today, aged 33. Muffins and juice will be available throughout and we will have a mini auction after the screening. About 95% of the £30 entrance fee will go towards helping the animals as the Odeon Lounge has very generously donated the use of the theatre, the technician is volunteering his time and most of the catering has been donated as well. Places are strictly limited so please book early to avoid disappointment. You can book online here or use the form below to reserve your tickets if you prefer to pay by cheque. Please note that the online booking is subject to a small booking fee. I had seen for myself, on my visit to China, the devotion of all the staff in Chengdu to the rescued bears, and the high standard of care and sensitivity to the needs of all those special animals. But when I saw “Cages of Shame” my feelings of admiration rose even higher. The gruelling journey, for both animals and humans, the fear that some might not survive it and the emergency operation, the gathering exhaustion. But the unfailing calm and professionalism were inspirational to all of us privileged to watch the story unfold. Our joy, as an audience, when the convoy reached the sanctuary was overwhelming. I just want to thank you. We watch from afar but you are never forgotten. Our screening of “Cages of Shame” on Wednesday was a huge success and a big thank you is due to all who helped with the organisation and on the day: Hilary, Seb, Babs, Kay, John and Chloe and of course the lovely, lovely Peter Egan who very kindly volunteered to be our auctioneer and helped us raise £1620 with the auction alone. Richard Symonds donated a limited edition print of his beautiful Oliver Bear drawing which was won by actress Lesley Nicol of Downton Abbey fame for £500 (pictured below, photo credit: Richard Symonds) as well as his wonderful “Contemplation”. 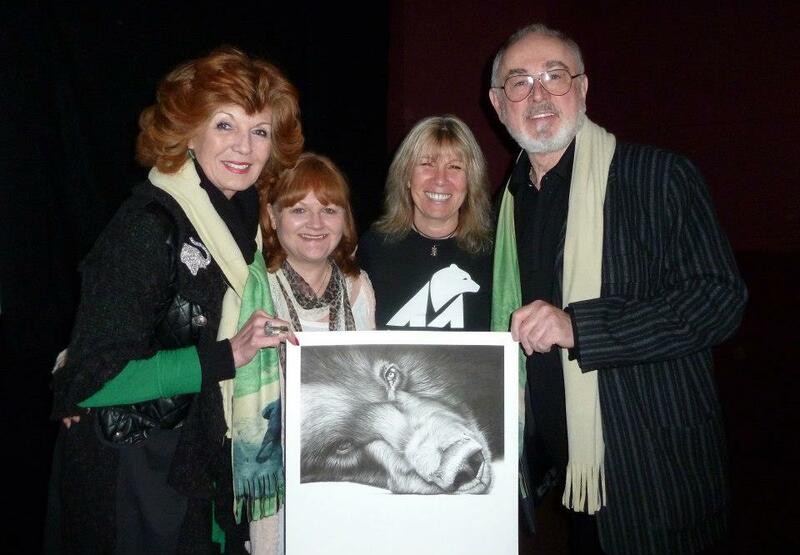 A big thank you also to fabulous Animals Asia friend and supporter Rula Lenska who is always there to support. The “icing on the cake” was Jill of course – loved and adored by all. The film alone is superb and so very deserving of the award but to have Jill there to give us an update on the “New Year Rescue” bears and the situation in Vietnam and China in general made this event extra special. We had a full house – full of very kind and generous supporters, old and new and just couldn’t have wished for a better day. Thank you to everyone who came and helped make this day as special as it was and of course to the Odeon Lounge for making this all possible in the first place by letting us use this amazing venue free of charge.